Local authorities report that a strong earthquake hit China yesterday, killing at least one person and leaving another 19 wounded. 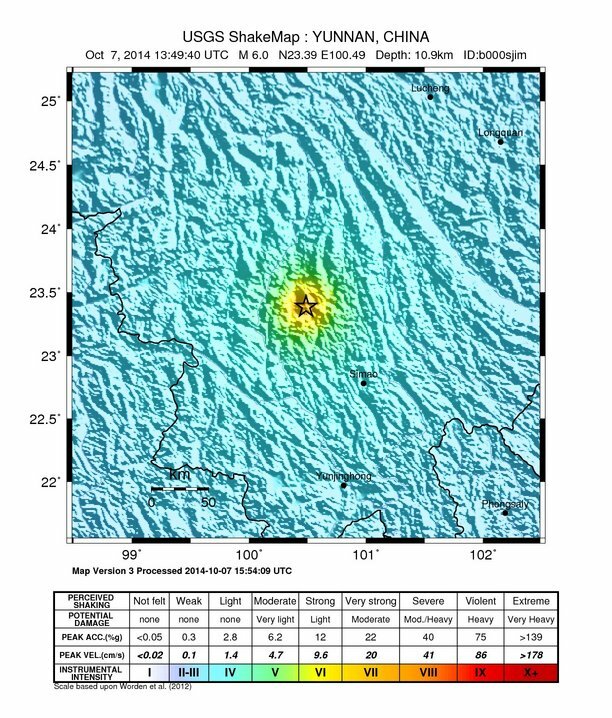 According to USGS data, the magnitude 6.0 quake struck the province of Yunnan (in southwest China) yesterday at 9.49 pm local time, with a 10.9 km deep epicenter. The city of Yongping in the County of Jinggu, only 5 km from the epicenter, was the most affected: that's where the victim and the injured came from. With a population of around 54.000 people, Yongping has seen many houses destroyed, and there's fear that the death toll could rise in the coming hours. About 230 rescuers immediately reached the city after the quake. The earthquake was felt throughout the whole Yunnan province, one that's particularly prone to these kind of calamities.